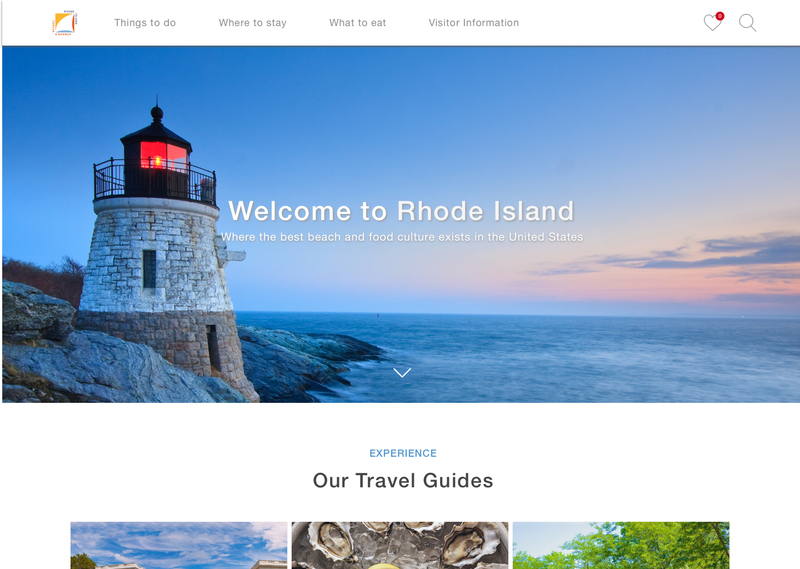 While a few states in the United States such as California and Florida were shaping their own tourism identity through continuous investment in development of user-friendly website, Rhode Island tourism website was in need of offering organized, easy-to-navigate interface. 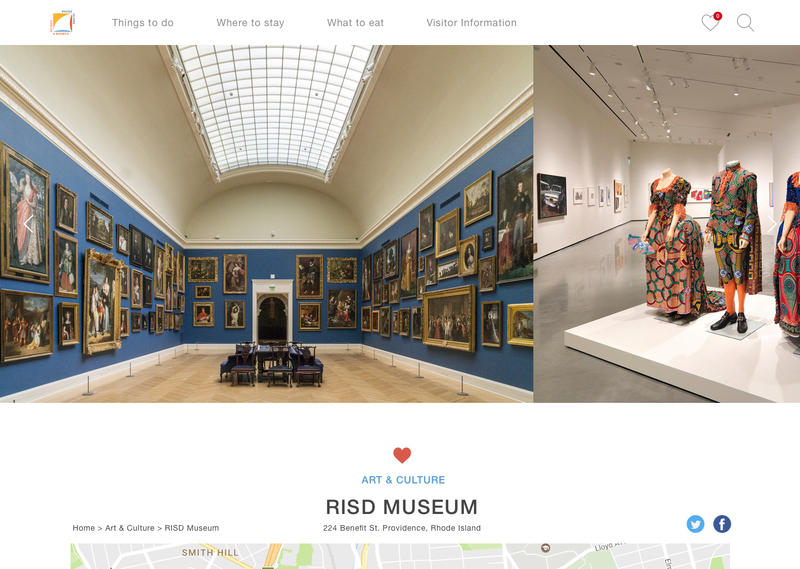 Since I’ve been in this state for about 3 years and always encourage people to come visit here, I wanted to help potential-visitors to visualize the exciting moments from the website. Because users are not familiar with the tourism in the Rhode Island State unlike other popular well-known state, it was important to impress users what this state is about in a few seconds. 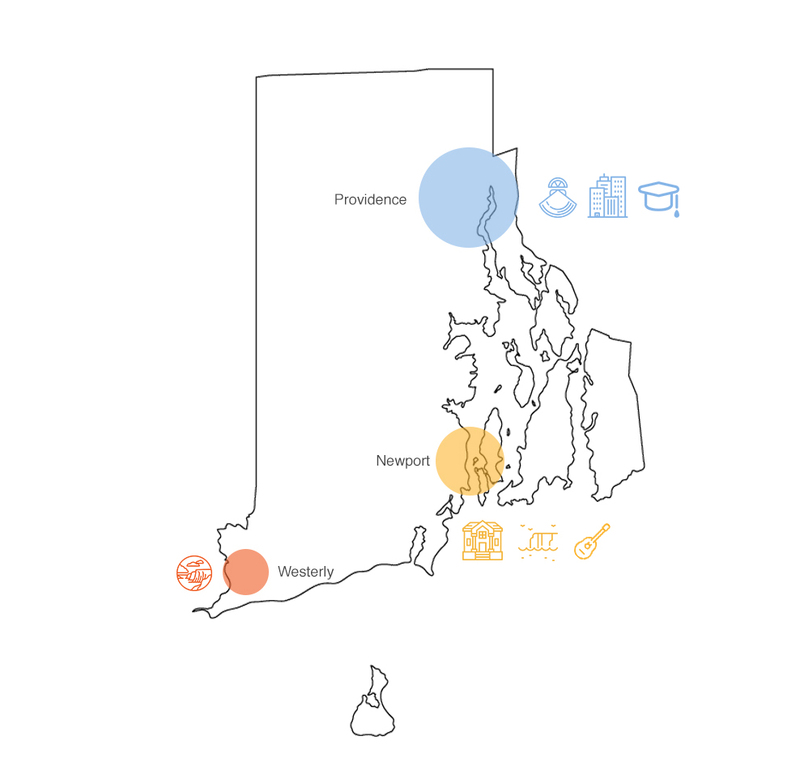 Rhode Island consists three unique neighborhoods, Providence, Newport and Westerly. Providence is famous for top-class colleges and universities, downtown eateries, performing arts theatres and art museums. Newport has a beautiful cliff walk, beaches, mansions, fresh seafoods and folk festival in summer. Lastly, Westerly has amazing shorelines and is a restful town. There are three main user group, which are eaters, explorers, and families visiting Rhode Island. 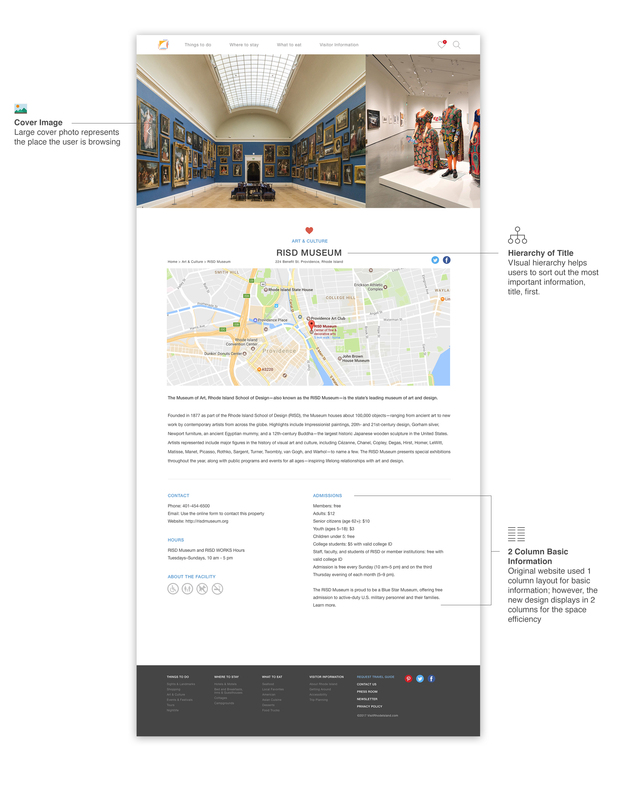 Throughout interviews and research, users visiting visitrhodeisland website wanted to see visual images rather than long texts without any visuals. 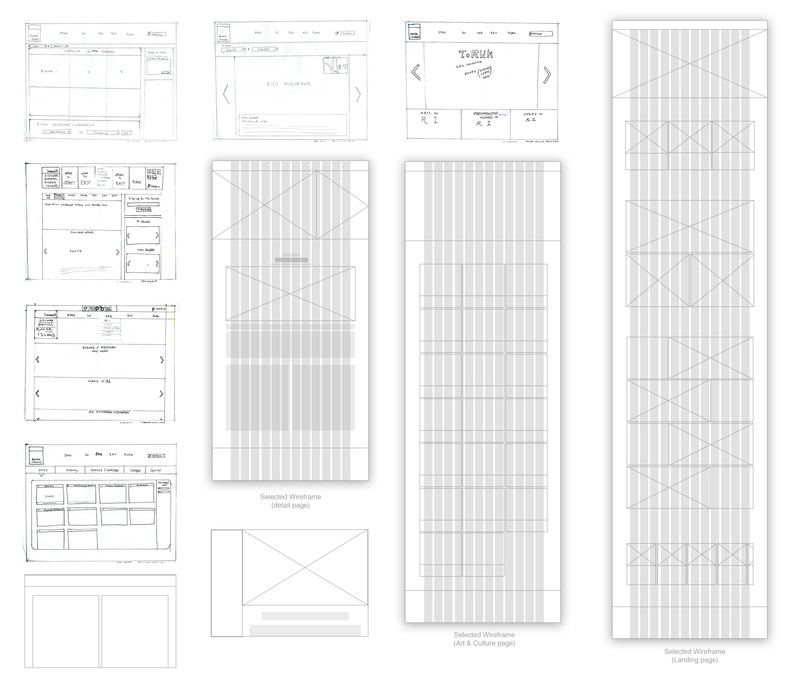 Current design does not use any images for most of detail-pages, which fails to give an immediate impression of each things-to-dos. 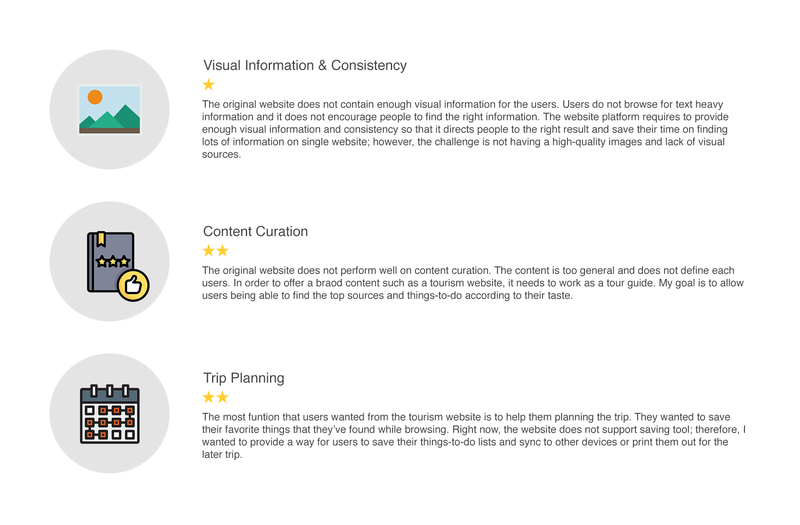 Additionally, users wanted to directly plan out where to go without browsing other third party websites. 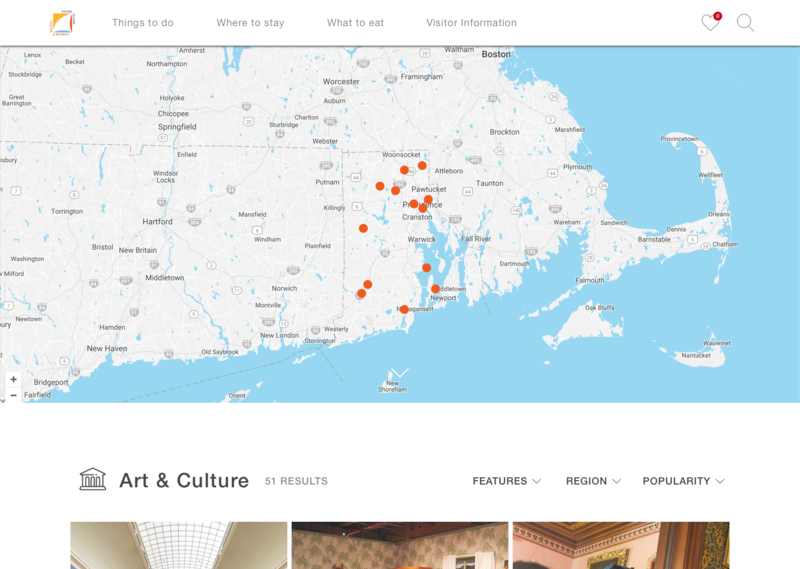 The biggest difference from the past design is offering contents that are curated for three primary user groups, and suggesting things-to-do rather than expecting users to figure out the top experiences in Rhode Island. The best way to introduce each tourism spots is to display in high-quality images. At this stage, users are browsing which spots might be interesting. 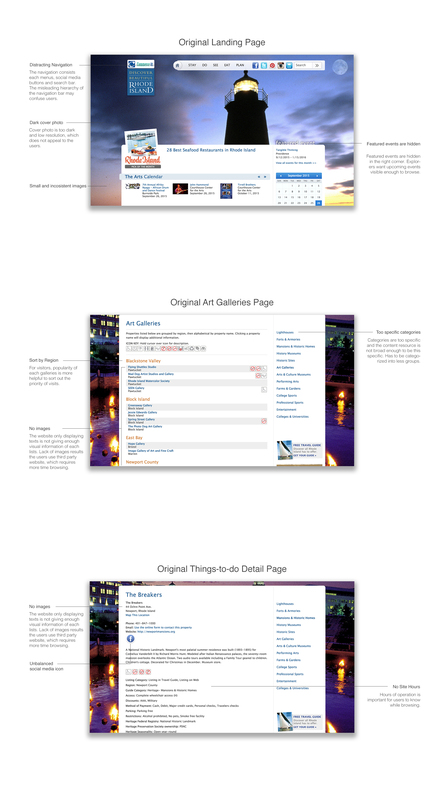 Gallery and basic information are enough for users to obtain the information. 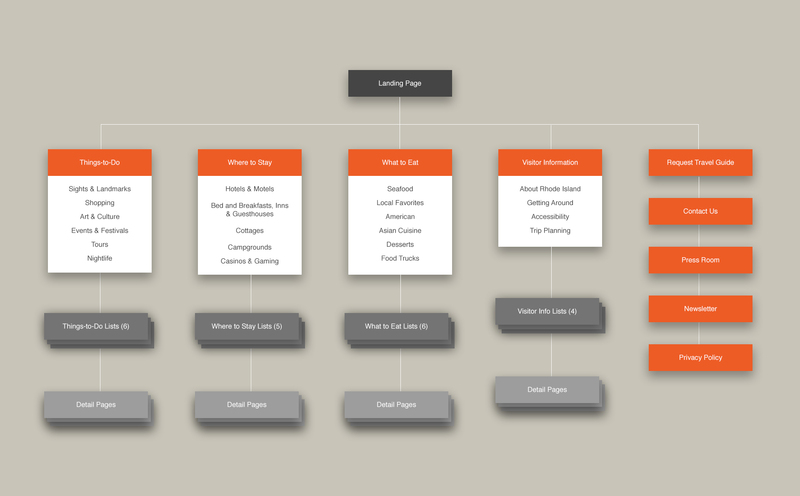 Using 2 column grid system, the new page displays basic information more efficiently with bold look for each listings. 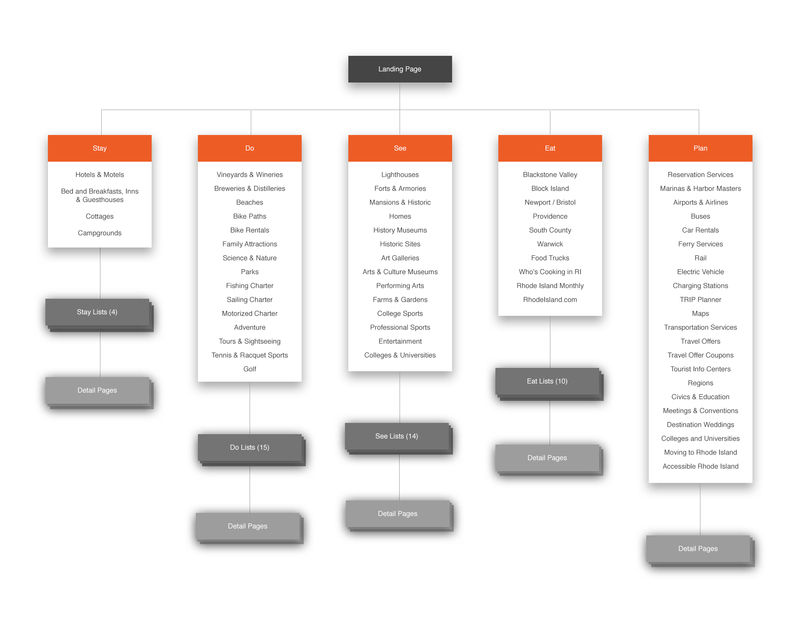 Also, users can easily save the lists for later so that they can plan for the future trip. This encourages them to explore as many destinations as they want to and then see what they liked later on.